As a component that is exposed to the elements and the hustle and bustle of activity on a daily basis, your garage door can take a beating. Therefore, when you notice something unusual happening to your installation, it is important to have it checked by a technician as quickly as possible. Count on our company for dependable garage door repair in Plano, TX. Our experienced team is available to ensure your garage door remains safe and operational. The fact of the matter is that garage doors are composed of many components. Some of these parts, like the tension spring, are under a lot of pressure, which means it requires great care and attention to address malfunctions in a safe and thorough manner. When you call us for garage door repair services, you can have confidence knowing that your garage door is in good hands. Our team takes a careful and methodical approach to service by inspecting your installation first. That way, you are well-informed of the situation and receive the necessary repairs. 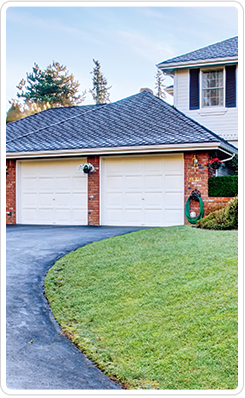 Don’t let a malfunctioning garage door turn into an eyesore. This part of your property acts as both a security barrier and an element of your exterior design. Choose a garage door company that unifies form and function. We do our best to repair problem spots first. If we find that it would be in your best interest to consider a replacement, we’ll discuss the options carefully and help you make an investment that revitalizes and improves your home or place of business. We make a point to conduct a no-nonsense approach to business, so you are able to focus on the results: a sturdy, secure, and attractive property. Improve the value and strength of your property with confidence. When you work with our garage door repair company, you work with technicians who are committed to your absolute satisfaction. We take pride in delivering solid workmanship, backed by competitive and sensible rates. With 24/7 live support and emergency repairs available, you can rest easy knowing that we are on your side. Contact us to request an estimate for garage door repair or replacement services. We proudly serve commercial and residential clients throughout Frisco, Plano, Mckinney, The Colony, Prosper, Aubrey, Lewisville, Little Elm, and Allen, TX and the surrounding areas.